It's funny that they put the world "challenge" right in the name of the BBVA Rising Stars Challenge because it doesn't look like what's happening is very difficult for anyone involved, at least not at first. The two teams of rookies and sophomores divided up into U.S. and World teams combined for 84 3-point shots in 40 minutes of basketball and why shouldn't they? They combined to shoot 40.4 percent from deep on the night, after all. 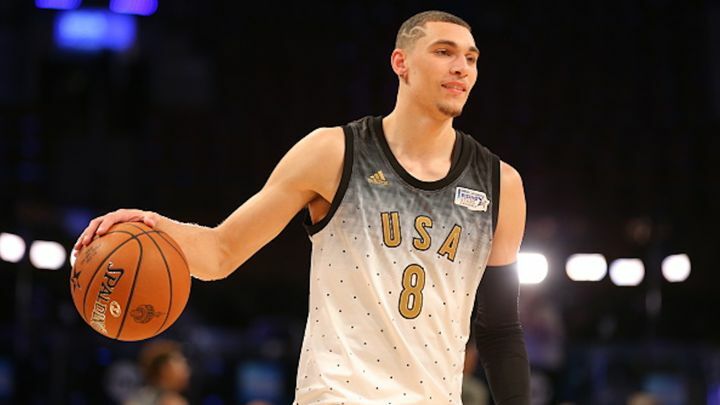 Zach LaVine scored 30 for the winning U.S. team while Kristaps Porzingis and Emmanuel Mudiay each poured in 30 for the World. The final score? 157-154 (!!) Sure, there was a little showboating here and there, but mostly what you saw was every best guy from every pickup game you've played multiplied by a factor of five and put onto the court at the Air Canada Centre at the same time. If calling it the best pickup game in the world makes it sound a little like the actual NBA All-Star Game – its big brother arriving Sunday – the distinction is that these rookies and sophomores haven't yet been genuinely tested and hardened by the game the way some of their older peers have. This brings them closer to the orbit of that one guy who's six inches taller than the others at your weekly run, the dude who played Division I ball and kinda maybe sorta held his own.